“There’s some real raw talent here! 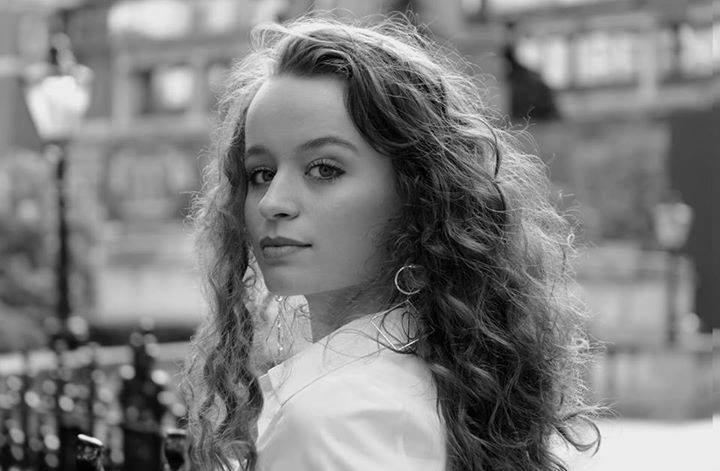 Expecting big things from her in the future” – the words of jazz singer and piano man Jamie Cullum after hearing 21 year old singer-songwriter and guitarist, Sarah Munro. With a delicate songbird’s voice reminiscent of Eva Cassidy and Katie Melua, Sarah’s music has been championed by legendary lyricist Don Black, as well as Jamie Cullum and Michael Ball – both of whom featured her debut single ‘For Eternity’ on their BBC Radio 2 shows. Her debut album ‘Say Hello To You’ features 10 original songs with a strong emphasis on lyrics and storytelling, plus a stunning interpretation of the classic ‘Autumn Leaves’. In 2017, Sarah performed headline sets at Cheltenham Jazz Festival and Cornbury Festival after completing a 24-date UK tour supporting Paul Carrack in prestigious venues, including the London Palladium and Birmingham Symphony Hall. Following her sold-out headline shows at The Pheasantry and PizzaExpress Jazz Club in Soho, Sarah will be touring venues across the UK throughout 2018, performing songs from her debut album ‘Say Hello To You’ and some brand-new original material.